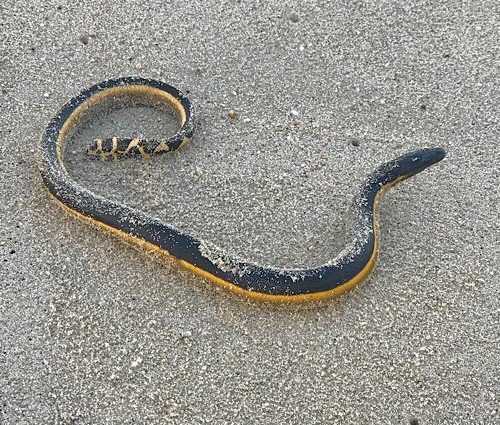 Near the beginning of my last morning beach walk (I’m now in Houston waiting for my connecting flight home), I met this water snake washed up on the beach. It was still pretty active, so I made an effort to get it back into the water. It swam into the water, and I hoped I’d saved it. On my return, it had been wave-tossed back above the water line and was looking far more feeble. I tried again, but this time it was just thrown again on the beach and no longer moving. It made me think about how connected are all of our destinies and how sometimes we can change things and sometimes we cannot.